I snapped this shot last week as I was walking in the park. To me it says “Summer”. 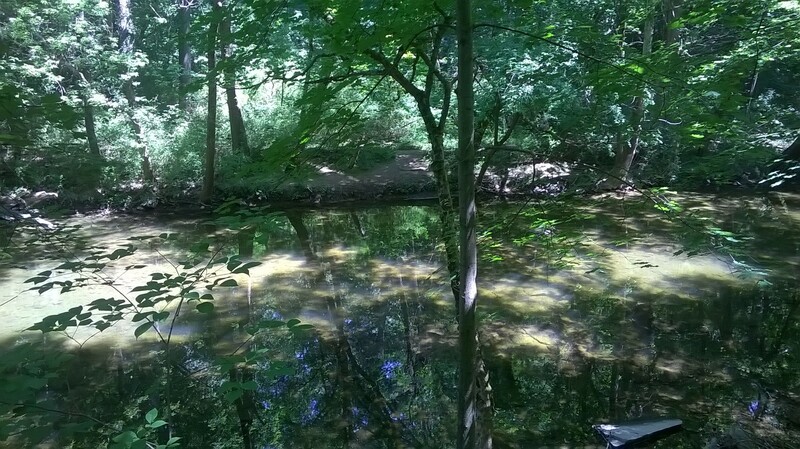 The play of sunlight on the cool green leaves and the resulting shadows floating on the lazy creek, remind me of my favorite aspect of the season. Summer is a time for easy living and enjoying simple pleasures out-of-doors. Glad to see your picture and read your words. Well done!